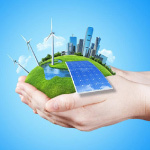 What is the Green Deal? The Green Deal is a new way to pay for energy-saving home improvements. You can take out Green Deal finance to pay for measures such as loft, cavity or solid-wall insulation, double glazing, a new boiler or even a ‘micro-generation’ system, such as solar panels. The loan is repaid through savings made on your electricity bills, so your bills shouldn’t be any higher than usual. Once the loan is paid off you can take full advantage of the energy savings. Green Deal Cashback Scotland – How do I get started? If you’re interested in a Green Deal loan, you will first need to arrange a visit from an assessor accredited with the Green Deal Quality Mark. All companies involved in the Green Deal must bear this mark and comply with a code of practice. 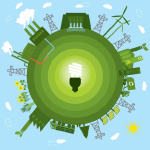 Green Deal Cashback Scotland providers include energy companies, shops and companies that install energy-efficient technology. 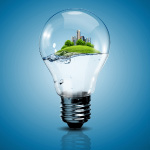 The provider will offer you a quote for a Green Deal plan. You could be expected to pay around £100-£150 for an assessment. In the past, insulation has been available free of charge or heavily discounted through schemes funded through everyone’s energy bills. The most recent free insulation scheme (Cert) finished in December 2012 but some energy companies still have offers – check our round up of the top free and cheap insulation deals to track down the best. Green Deal Cashback Scotland. The Green Deal differs significantly from old energy schemes, as it can involve taking out a loan to help pay for the energy-efficient measures. The loan is paid back through your electricity bill and is attached to your electricity supply, rather than you as an individual. This means that if you move, it will pass on to your home’s next owner. 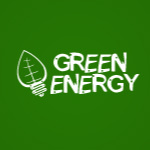 Green Deal loans are repaid through your electricity bill. The way the deal differs from a standard loan is that the repayments you’ll make on the loan will (in theory at least) be covered by the energy bill savings you make from having the energy-saving home improvements installed. This system is known as the ‘Golden Rule’ – you should not pay back more in loan repayments than you are saving on your energy bill. But the Golden Rule is not a guarantee, just a guideline based on energy-saving estimates. So it’s also possible that repayments could be more than your savings while your plan is in place – meaning you would have to find extra cash to fund the difference.